James Patterson has many ongoing scholarships, including College Book Bucks. This program gifts college-bound high school seniors with money to spend on college textbooks at independent bookstores. Each year, students are asked to respond to the following question: "How has your favorite book inspired you toward what you'd like to do in life?" 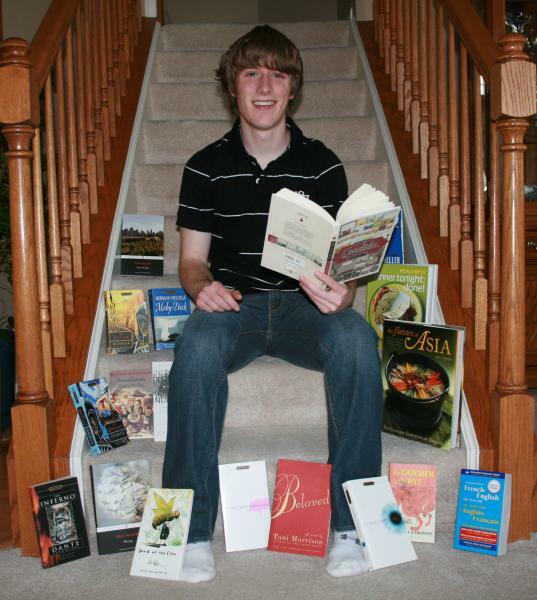 In 2012, the program gifted more than $70,000 dollars in Book Bucks to 235 students. The winning responses included books as diverse as Ian McEwan's Atonement, Sapphire's Push, and Shel Silverstein's The Giving Tree. "I feel that I personify the message of the novel Push by Sapphire. My hunger for an education is similar to that of Claireece Precious Jones in the novel. Like Claireece, I have overcome many adversities, including being an extremely low income student. Despite the odds being stacked against Claireece and me, we push forward and become beacons of light in our community…My enlightenment from the novel Push has encouraged me pursue a career in medicine because like Claireece, I realized that my circumstances do not define my destiny."